Although Tonto Natural Bridge State Park (azstateparks.com/tonto) is a relatively new addition to the Arizona state park system, the historic park lodge dates back to the 1920s. 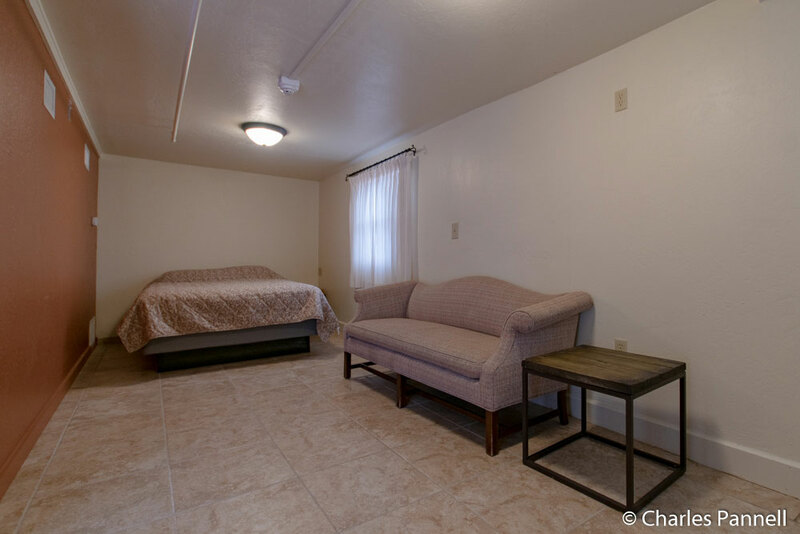 The good news is, thanks to a recent renovation project, Goodfellow Lodge not only boasts some added creature comforts, but it also includes a newly constructed wheelchair-accessible suite. As a result, this comfortable cabin is the perfect choice for multigenerational gatherings, weddings or even personal retreats. And you just can’t beat the location either, as this southern Arizona hideaway is only steps away from the world’s largest travertine bridge. 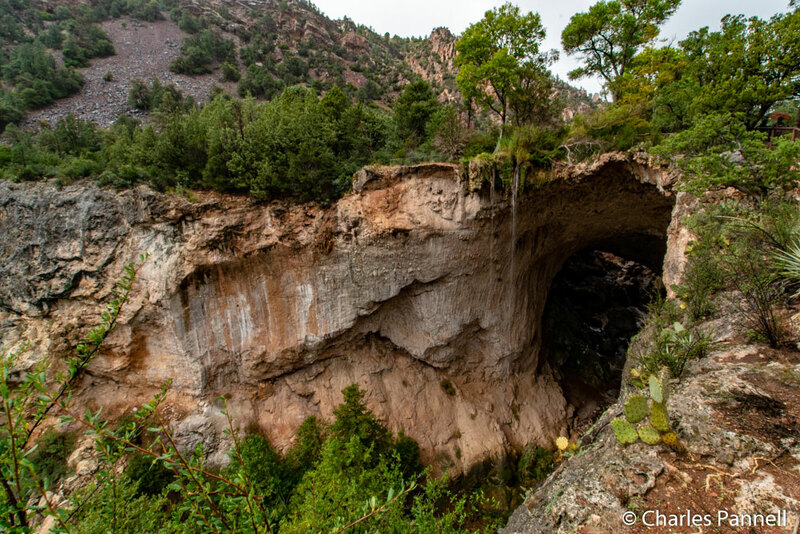 Nestled in Pine Creek Canyon just north of Payson, Tonto Natural Bridge State Park is definitely off the beaten path – and that’s part of its charm. Even better, guests at Goodfellow Lodge basically have the park to themselves after the gates close at 5:00 p.m. each evening. Add in the absence of electronic distractions – there’s no phone, cell or internet access in the park – and you have a quiet place to reflect and enjoy the beauty of Mother Nature. You can’t miss Goodfellow Lodge, as it’s located just to the left of the entrance gate. Accessible parking is available behind the three-story lodge, with level access over to the accessible unisex restrooms, and ramp access up to the main entrance in front. Inside there’s plenty of room to maneuver a wheelchair around the main floor, which includes a gift shop and information desk, as well as communal dining facilities and a well equipped commercial kitchen. Add in an expansive wrap around porch that’s lined with rocking chairs, and you have an incredibly inviting public space. The 10-room lodge can accommodate up to 28 overnight guests, with the bulk of the guestrooms located up a flight of stairs on the third floor. 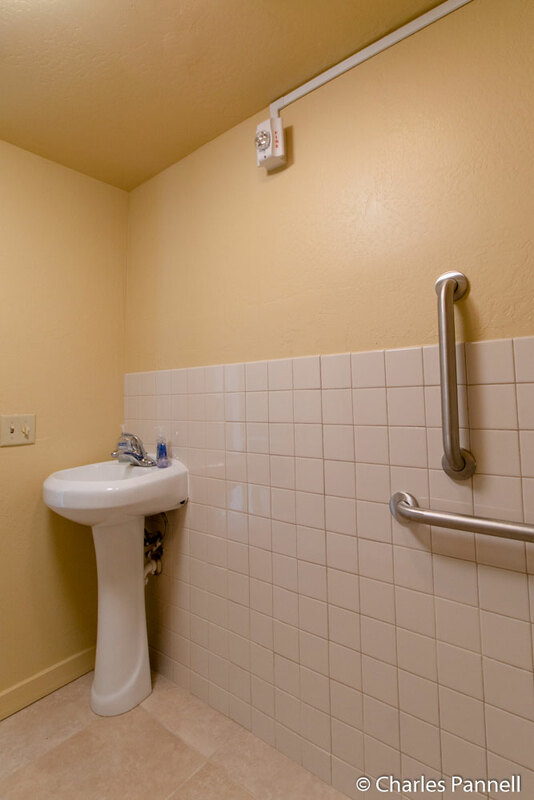 The new accessible Roosevelt Suite is located next to the accessible parking area on the ground floor. From there, wheelchair-users and slow walkers can easily access the public areas of the lodge, the accessible suite and even some of the scenic viewpoints in the park. Access features in the Roosevelt Suite include wide doorways and good pathway access. 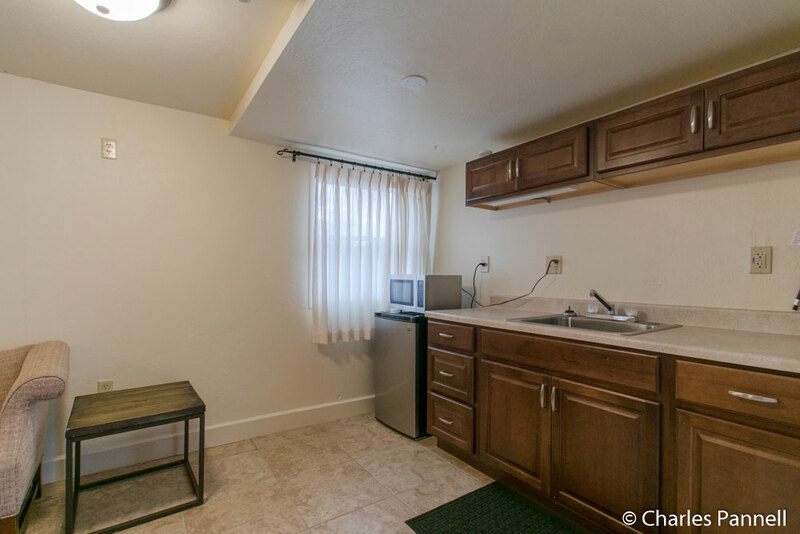 The suite is furnished with a 25-inch high queen-sized bed, with wheelchair access on either side (depending on the bed location), a night table, a sofa, and a wet bar area with a microwave, refrigerator and a sink. There’s a closet and a small roll-under vanity in the hallway, with sliding door access to the bathroom. 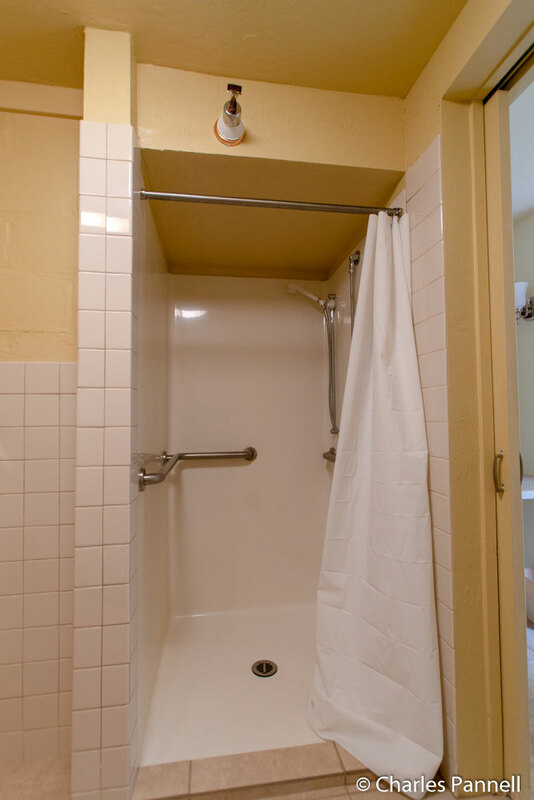 The spacious bathroom includes a full five-foot turning radius, and is outfitted with a 36-inch-square transfer-type shower, with grab bars and a hand-held showerhead. 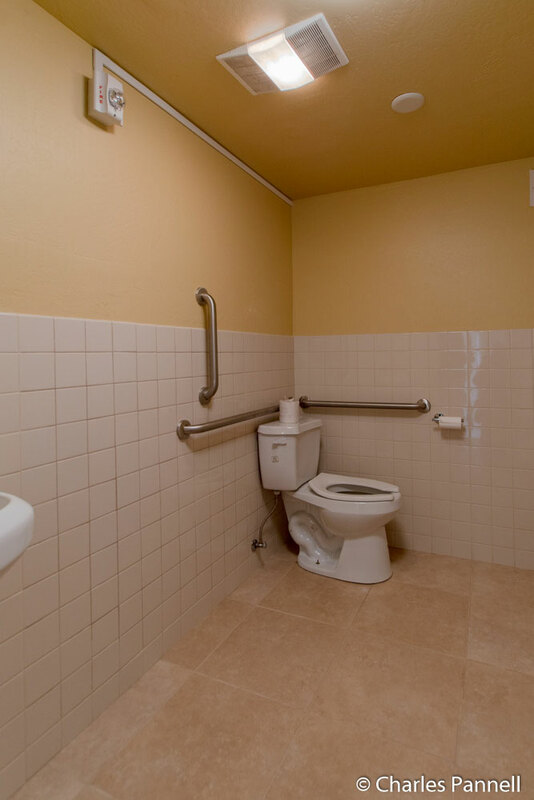 Other access features include a toilet with grab bars on the back and left walls (as seated), and a pedestal sink. The lodge is available for rent in its entirety for group events; however the Roosevelt Suite can also be rented out individually if the lodge isn’t booked by a group. Availability varies by season, and it’s best to make reservations at least six months in advance during the peak summer season, and two months in advance the rest of the year. 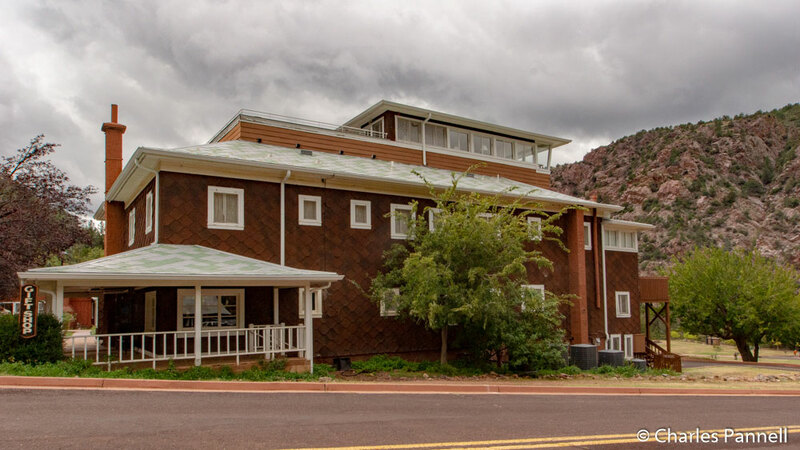 And although details about the lodge are available on the park’s website, it can only be booked by calling Daniel Roddy or Katie Ferguson at (928) 476-4202. This personalized approach to the reservation process gives prospective guests the opportunity to voice any access concerns they may have, which in turn will help determine if the property will work for them. Of course, one of the highlights of the park is the scenic natural bridge. The massive limestone bridge, which was sculpted by the forces of nature, stands 183 feet high and is easily visible from four wheelchair-accessible viewpoints near Goodfellow Lodge. And although the bridge was technically discovered in the late 19th century, it was used by Native Americans long before that, as they also inhabited caves nearby. Viewpoint 1 is closest to Goodfellow Lodge, but day visitors can also access it from the West Wing Parking Lot. Accessible parking is located near the group ramada, with an 800-foot paved level pathway over to the viewpoint. Not only is this one of the easiest viewpoints to access, but it also offers one of the best views of the natural bridge. From there it’s about a quarter-mile stroll across the river to Viewpoint 2; and although there are a few gravel spots here and there, the pathway is doable for most wheelchair-users and slow walkers. Viewpoint 3 is another quarter-mile stroll away; however an additional accessible parking area is located closer to it, in the Bridge Parking Area. It’s about a 150-foot walk from the parking lot to Viewpoint 3 , and another 200 feet down to Viewpoint 4 at the end of the line. And although the park trails are off limits after the park closes, lodge guests can enjoy a scenic sunset from any of the viewpoints. Additionally, plans are also in the works for a new quarter-mile wheelchair-accessible trail in Tonto Natural Bridge State Park. Construction of the trail is already underway, and it’s scheduled to be completed in February 2019. That’s just one more reason for wheelchair-users and slow walkers to plan to spend the day – and maybe even the night – at Tonto Natural Bridge State Park.